Appearances aren’t everything, but — for a public fleet — it often is important to your constituents and stakeholders. Having vehicles and personnel that look well maintained and neat is important, but that is only part of the equation. Negative perception typically focuses less on physical appearance, and more on behavior — how vehicles operate and how drivers act behind the wheel. Being a public fleet means you’re in the public eye — under the scrutiny of taxpayers and stakeholders who want to make sure that their tax dollars are being put to good use. Fortunately, there is a tool your public fleet can use to put your best foot forward: telematics. Wasteful behavior impacts fleets in a number of ways from direct costs to the potential for a ruinous liability payment, which fleet personnel should always aim to minimize. But public fleets have the added pressure of answering to both their stakeholders in city hall and the taxpayers — who have direct control on funding and operations. For example, a driver may find it practical to idle her vehicle on a chilly morning while she completes morning paperwork — but a casual observer may see it as contrary to the city’s stated goals of improving the city’s carbon footprint. A city hall stakeholder on the board of supervisors will see the fuel bill as unnecessarily high — pointing a finger at wasteful behavior. Or a driver, in a misguided attempt to “make up time,” may drive aggressively and speed to get to his next appointment on time. Reckless driving behavior in marked city vehicles will raise the ire of constituents worried about the safety of their children as they’re coming home from school, and is certain to generate calls to the fleet department — including one from the city attorney concerned about the city’s liability exposure due to this reckless driver. This is where telematics comes in. While constituents, stakeholders, and even the drivers themselves won’t notice anything outwardly different about city vehicles after a telematics solution is implemented — they will observe something more important. The vehicles are being operated differently. For example, gone will be the days of billowing exhaust on a cold winter day as a city van idles and the sounds of hard acceleration and squealing tires of a marked city sedan as it barrels down a busy residential street trying to beat the clock. Telematics in of itself won’t improve the driver’s behavior or the fleet’s public image. By being able to monitor driver behavior in near real-time, telematics gives fleet personnel insights into the overall operation of the vehicles, and, more important, correct behavior before it can have serious, negative implications for the fleet both to its budget and its public image. One of the major benefits of a telematics solution, such as GPS Insight Fleet Tracking Solutions, is the ability to set alerts about specific behaviors that are important for the fleet and its agency to control. These alerts give the fleet manager the ability to address reckless behavior in near real-time instead of a few weeks later when a report is generated. 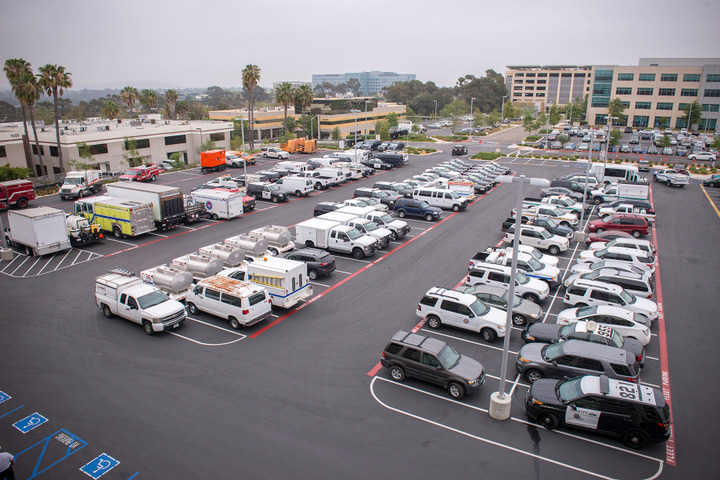 Again, while alerts are beneficial to every type of fleet, for a public fleet, they help not only to correct the behavior — and potentially save public monies — but demonstrates to taxpayers and stakeholders that the fleet is responsive and immediately addresses wasteful and risky behaviors. Some telematics capabilities offer more subtle and fundamental improvements. Routing — the cornerstone of telematics technology — can be used to set routes and appointments to eliminate the need to “rush” to a late appointment. If routed and managed correctly, telematics can help make late appointments a thing of the past, and drivers will know they are being monitored and be less likely to rush to an appointment. The savings and improvements to public perception are many. Drivers will use less fuel — speeding and reckless behavior decreases mpg — and the driver’s risk profile will be improved. The fleet will also gain from an improved public image both by being able to serve its customers more efficiently and by driving to the appointment in an observably safer way. Public perception is just that — perception not fact. While the perception may be fundamentally correct, telematics delivers something more important for public fleets — data. This evidence can go a long way to prove that the fleet is well-run, safe, and environmentally friendly in the event of questions from taxpayers or stakeholders that it isn’t. Having this evidence is also crucial in demonstrating the return on investment (ROI) for the telematics solution and more broadly the fleet’s operations, which will help make the argument for more funding to expand or further improve operations, and show that taxpayer money isn’t being wasted. As with all things, substance — the way a fleet is operated — should be paramount, but for a public fleet using telematics it is certainly a means to put its best foot forward, while making real strides in its operations and serving its public and government stakeholders.